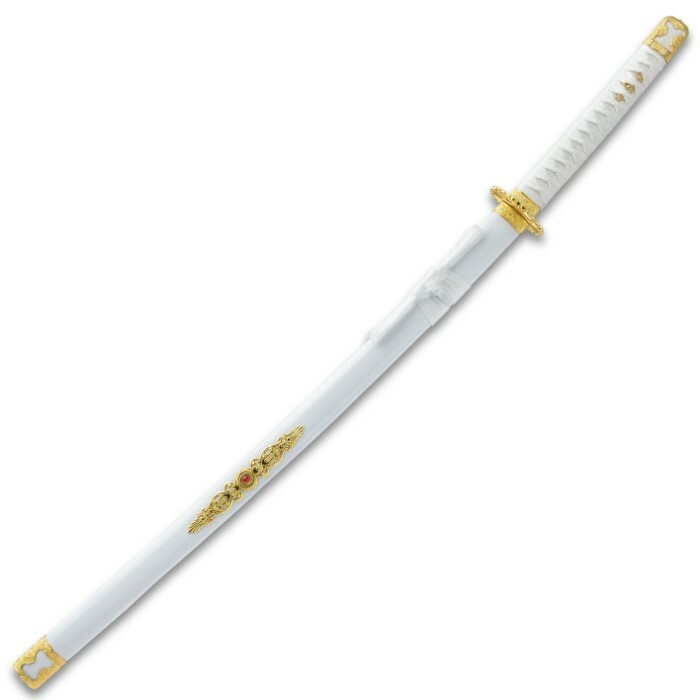 White Lotus Katana With Scabbard - High Carbon Steel Blade, Metal Alloy Fittings, Wooden Scabbard - Length 39” | BUDK.com - Knives & Swords At The Lowest Prices! 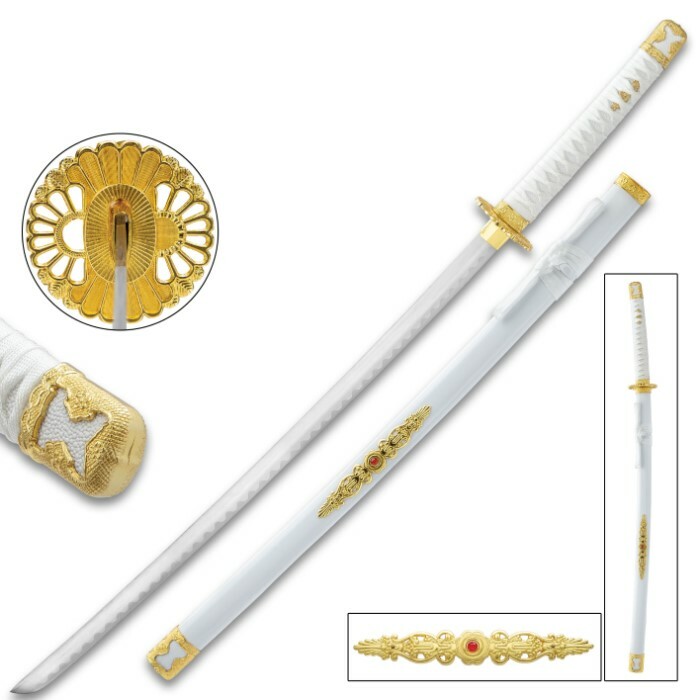 The White Lotus Katana is a silky and graceful display sword and scabbard that just begs to be displayed in your collection. 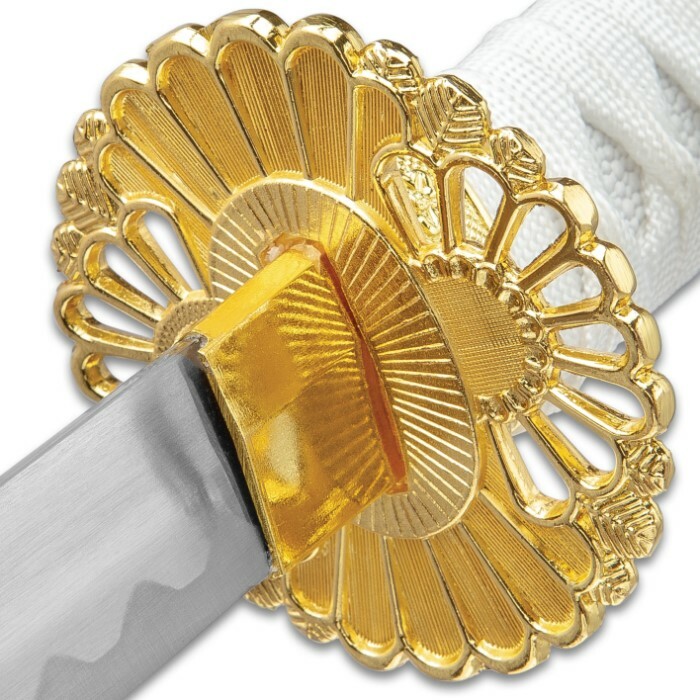 It has a keenly sharp, 27 1/2” high carbon steel display blade with a faux hamon line that leads to a decorative habaki. 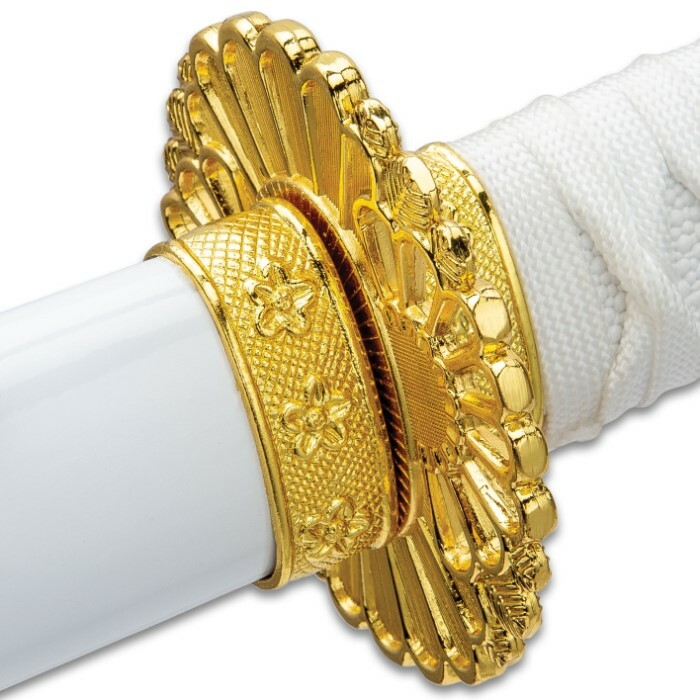 Both the pommel and mouth of the scabbard are crafted of metal alloy with a genuine gold look to complement the circular tsuba. 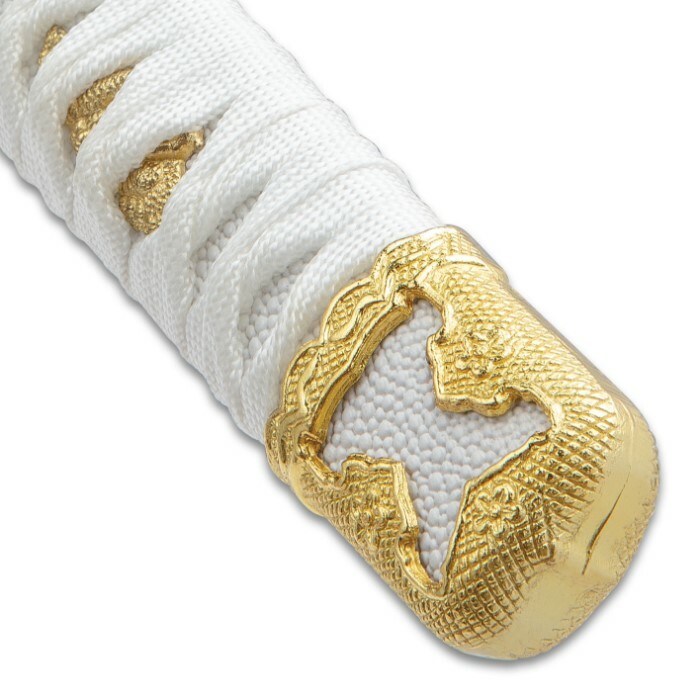 The wooden handle is traditionally wrapped with white cord and faux rayskin and has gold-colored menuki on each side. 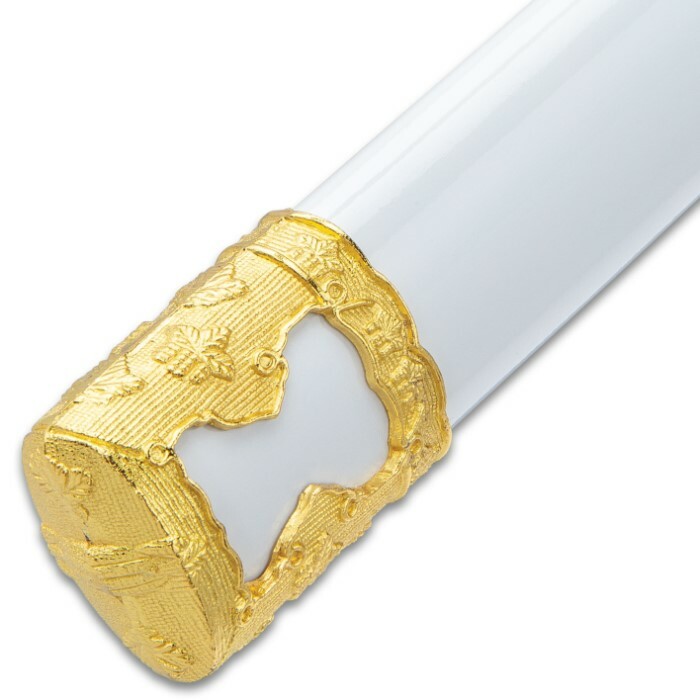 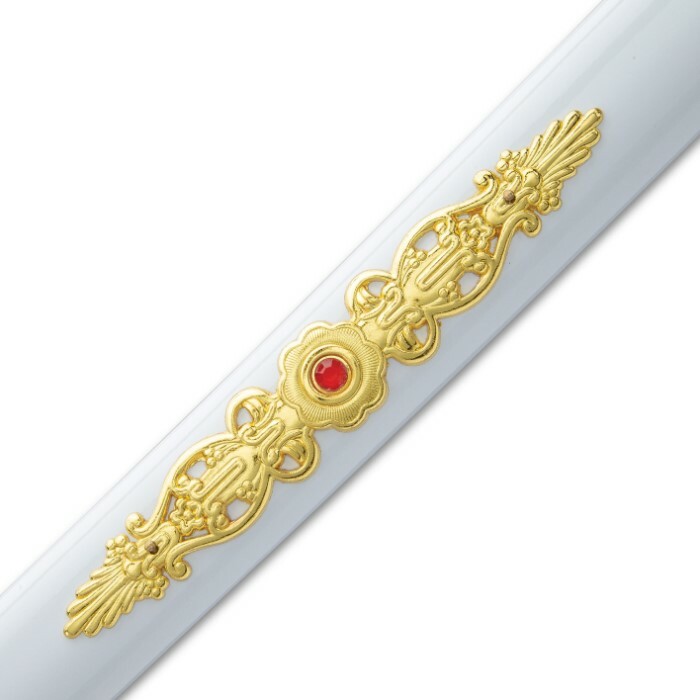 The 39” overall sword slides into a glossy white wooden scabbard with a shiny gold accent featuring a faux red jewel.